Thank you, Cameron Hughes, for sponsoring this post. Capture the celebratory spirit of the holidays, and toast to the season with Cameron Hughes wine! This creamy red shishito pepper soup is the perfect soup for fall. You won’t believe that this flavorful soup is ready in under 30 minutes! If you are one of the lucky ones, you will score a pint of red shishito peppers! These red shishito peppers are a sweet red pepper, except for that one in ten! I had no idea shishito peppers even came in a red color!! They are vibrant and beautiful, and I hope to see a lot more of them in the coming weeks at our farmer’s market! 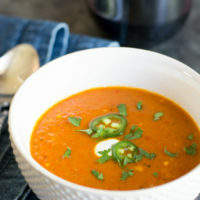 I can’t wait to dive into a bowl of this hot red pepper soup! These sweet red peppers are officially my new favorite fall flavor. Do you know what is even better? 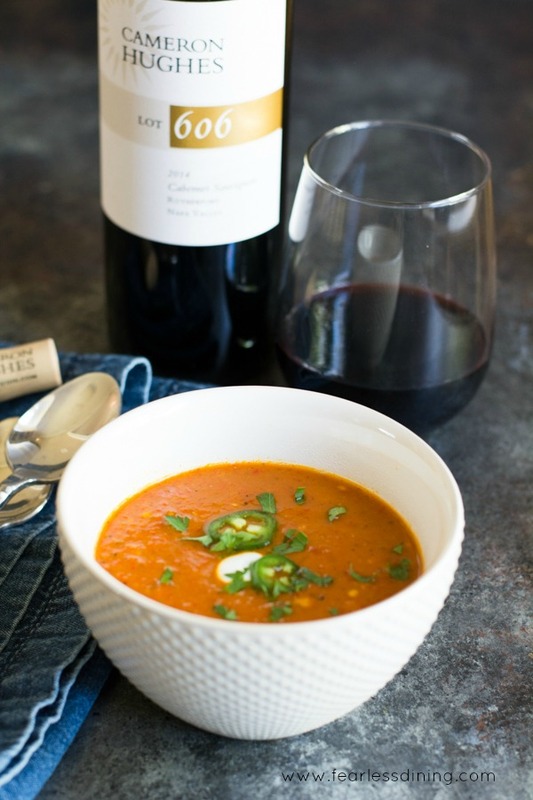 Pairing this sweet pepper soup with a new cabernet I love by Cameron Hughes. Cameron Hughes wines are a little different than most wines. Cameron Hughes travels the world, buying wines that vintners are not able to bottle. Sometimes these vintners have too much wine, and sometimes it is too expensive for them to bottle everything. This is where Cameron Hughes comes in. They purchase this wine, then bottle it, and assign it a lot number on the label. I first discovered Cameron Hughes several years ago. Back before this blog, when I was a fundraiser for a non-profit. We used to do an event pairing wines and appetizers. Many local vineyards and restaurants participated. On a whim, I reached out to Cameron Hughes to see if they would like to participate. Cameron Hughes not only said yes, but they were one of the hits of the event. Their wines were incredible. I am always grateful when companies are willing to give back! It is so fun to read about the wine. This delicious cabernet with hints of blackberry and cherry. This cabernet was bottled in 2014 and it is still quite young for a cabernet of this caliber. It always amazes me that wines can age and keep getting better! According to Cameron Hughes, this Lot 606 cabernet can age another 10-15 years! My bottles won’t last that long, but I may smuggle one bottle away into my wine refrigerator. Lot 606 is a Rutherford cabernet and comes from some very expensive stock. Cameron Hughes is calling it the release of the year and one glass will prove this nicely! I also received Lot 565, a 2015 Pinot Noir from Rogue River Valley in Oregon. This wine starts with a cherry flavor but finishes with a touch of spice. 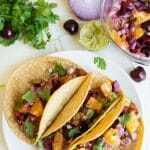 It would taste delicious with roasted chicken! Lot 576 is a 2016 Chardonnay that hails from the Arroyo Seco in Monterey County. Think honeysuckle and pear, and maybe a hint of citrus…it is one of Cameron Hughes best-selling whites! 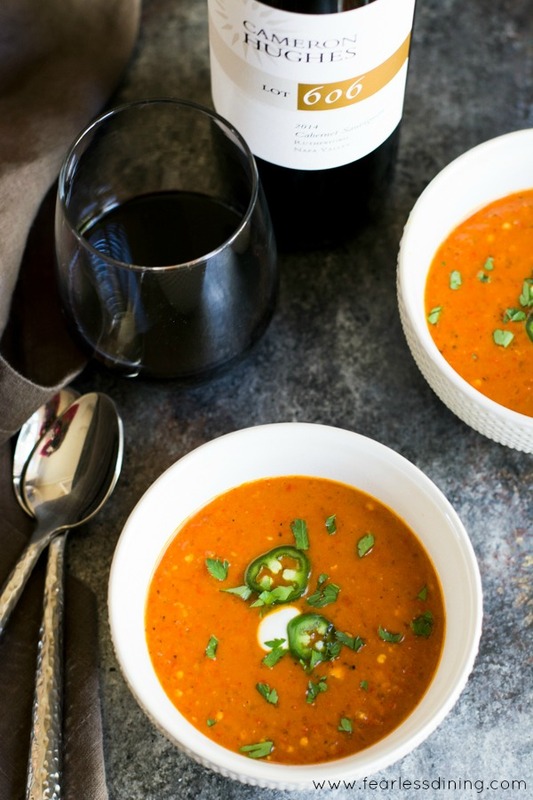 Are you ready to see how easy it is to make this simple sweet red pepper soup? The first step is to blister the shishito peppers with onion and garlic. 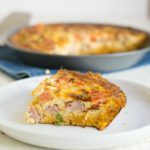 I love to do this in my cast iron skillet because it can get really hot. Use a cooking oil that can take the high heat like avocado oil! Next, remove the stems from the red peppers. 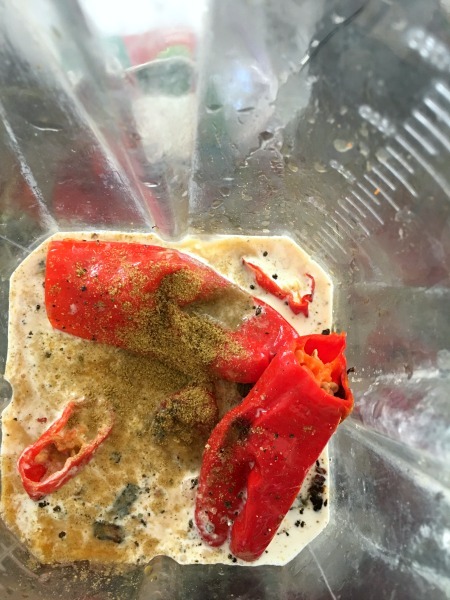 Leave the seeds in the peppers, no need to remove these as they are sweet. Add all of the ingredients in your blender. This will make the soup smooth and creamy for cooking! 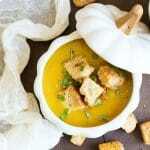 I love making soups in my Vitamix, but you can use a food processor, or even put everything into the pot and use an immersion blender in the pot to puree! Next, cover and bring the soup to a boil. 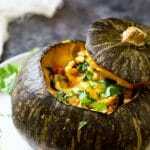 Allow to boil for five minutes, then reduce the heat and simmer an additional 10 minutes. 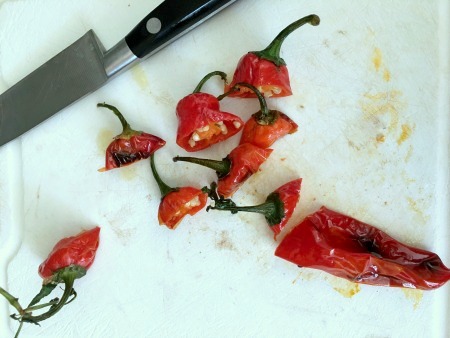 Here are my favorite ways to cook shishito peppers. 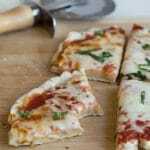 More Yummy Gluten Free Recipes to Pair with Cabernet! 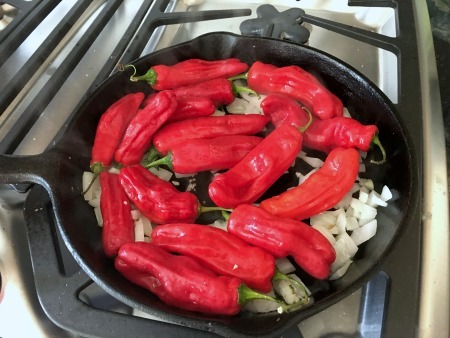 Not only do these peppers taste amazing, their beautiful red color makes the soup so pretty! This looks amazing! I love that you found these peppers too! I almost thought they were a fluke! I love love LOVE Shishito peppers! I need to make this soup! I have never seen a shishito pepper. It sounds and looks so luscious.. The Cameron Hughes wine is surprising delicious as well. You picked a beautiful wine to pair with the soup. This soup looks so comforting! I’ve never tried shishito peppers but now I want to! Delicious pepper soup and red wine? I think I have my Friday night plans. This looks so good! What an interesting wine brand! I think it’s a great way for people to enjoy different wines that are sourced and curated. It is in SF, road trip? I don’t know if I’ve ever had a shishito pepper, but this looks divine! I think I need to check out the pepper section at the store more carefully. 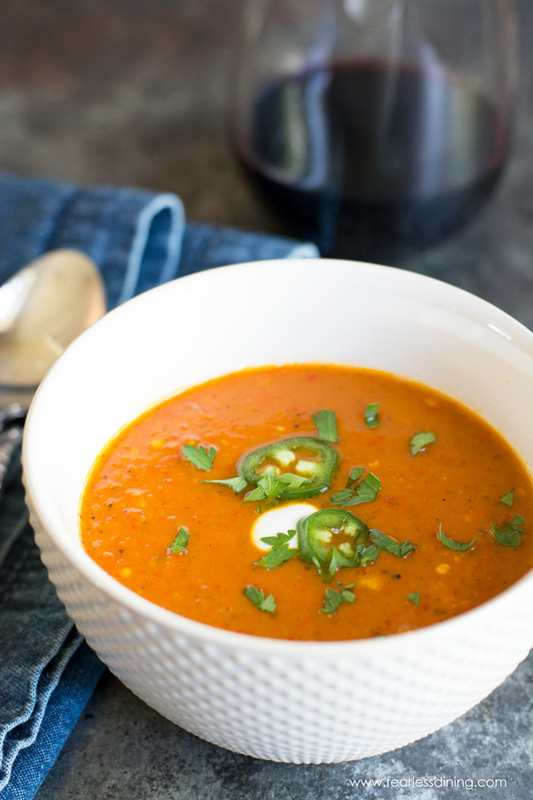 oh my gosh, my husband and I LOVE shishito peppers – I cannot WAIT to try this soup! thank you!! 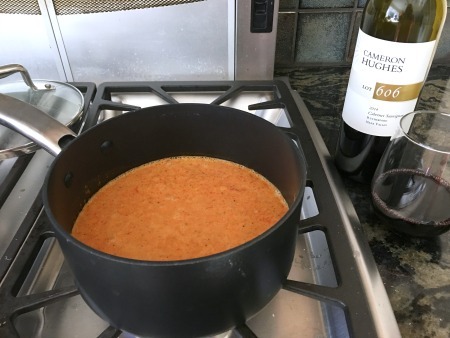 Love soup season and a delicious comforting soup, especially when paired with a glass of wine! 😉 Can’t wait to try this one. This soup looks perfect for a cool day – warm and luscious. Love it! Can’t believe how quickly this soup comes together! I am not even sure I have even tried these peppers. I am gonna have to find them now. Sweet red peppers soup sounds delicious, Sandi! I love your additional of avocado oil in soup too. I have to say, never tried Cameron Hughes wine. On my to-try list. Thank you so much Savita 🙂 I highly recommend this wine company. This soup looks unbelievable. I adore Shishito peppers, and love the red color. I also think it’s so helpful that you pair a wine with the meal. Great idea – thanks! Oh wow! the soup looks so delicious. never got a chance to try shishito pepper soup but looks definitely interesting. If you can find them Prasanna, I highly recommend them.